What you thought was a $ 7,500.00 problem, can be a $ 25,000.00 exposure problem with a broadly drafted shifting attorney’s fees and costs clause or an ordinance that rewards a prevailing party. The tendency is for the Courts to award “reasonable” attorney’s fees and costs to prevailing parties and their attorneys. 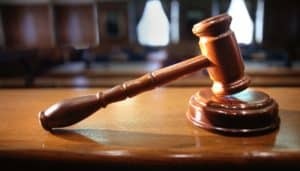 This policy encourages attorneys to take meritorious cases on behalf of tenants, and to take these cases to the “mat of trial,” and potentially on a reduced rate or contingency arrangement with the plan of prevailing and obtaining an award of attorney’s and costs in a post-trial motion. Just do the simple math. The preparation for a jury trial can be a multiplier of 5 times the number hours of getting ready for a bench trial. For example if a bench trial entails 5 hours of attorney preparation, a jury trial entails 25 hours of preparation time, and also additional court time to pick a jury, prepare and and review jury instructions and special verdict forms with the judge. Also, such costs such as deposition costs, court fees, jury fees, expert witness fees, and process server fees can be shifted to the losing party. Assess with your attorney the real exposure to an award of attorney’s fees and costs so you understand the true financial risk. How long has the case been going on for? How much discovery has been done- have depositions been taken? Has the tenant’s attorney prepared for a jury trial? How skilled is the tenant’s attorney? What have juries done in similar types of cases in LA County (i.e. pervasive bed bug cases where the landlord really did nothing about the issue)? Does the tenant have an expert witness? Has the judge denied summary judgment against you? Is your eviction case impressively weak or not provable- is the property manager the only percipient witness? Will the jury and or judge be sympathetic to the tenant? Can you settle and pay the tenant far less than the bad outcome exposure and assess a “cash for keys” settlement? Is there a non-waivable municipal law, rent control ordinance, or state law that shifts attorney’s fees and costs to the prevailing party in this area of law, regardless of the language in your rental agreement – if so, try to settle the case based on that statutory exposure? Can you insure certain risks with liability insurance? Insurance is an extremely valuable asset protection device, especially in breach of habitability cases. Let the insurance carrier pay for the defense and indemnification to avoid the rainy day. Is the tenant being represented by a reputable public interest law firm – will a judge or jury have a bias toward that type of law firm that is helping the underdog tenant? This may take the sweet juice out of the tenant’s attorney pay day if the tenant is the prevailing party, and the attorney’s fees/ costs component of the claim is not addressed under a rent control ordinance or other state law. If you prevail in an eviction lawsuit, you give up the right to collect attorney’s fees and costs, but the tenant may be “uncollectible” anyway or may file bankruptcy- so not having a prevailing party attorney’s fees clause may help you in the long run if you lose a case. Have a clause that requires mandatory mediation for any type of case that is not an eviction case. If the tenant does not complete mediation in good faith prior to going to court, they waive any and all rights to get attorney’s fees and costs if they are the prevailing party. This clause works in real estate purchase agreements involving consumers, and it may be enforceable against tenants. Actively attend mediation or a court supervised settlement conference with the tenant to try to settle the issue. Use a mandatory alternative dispute resolution provision for arbitration of certain types of disputes. Arbitration of the case takes the case away from a jury, and judges like this type of case because it takes the case off the trial calendar altogether. Even if this type of clause is held to be “unenforceable” and against public policy – so what – it may distract from the litigation and encourage settlement. Set numerical limits for attorney’s fees and costs for prevailing parties for certain kinds of cases. You can think out of the box, but for a jury trial, you can set a cap limit of $ 7,500.00 for attorney’s fees and costs for the prevailing party. This type of clause protects both landlord and tenant from a big rainy day and a large attorney fee award against you. The author, Nate Bernstein, Esq., is the Managing Counsel of the LA Real Estate Law Group, a Los Angeles based real estate and business law firm. The contact phone number is (818) 383-5759 and website is www.larealestatelawgroup.com. The email contact is natebernstein44@gmail.com. The firm serves clients throughout Southern California. Nate Bernstein is a 25 year veteran Los Angeles real estate and business attorney, transaction and trial lawyer. Mr. Bernstein also has expertise on bankruptcy law, the federal bankruptcy court system, and creditor’s rights. 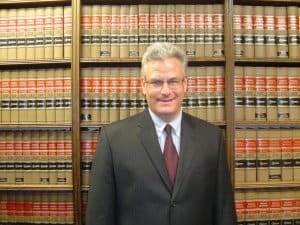 He previously served as Vice President and In House trial counsel at Fidelity Title Insurance Company, a Fortune 500 company, and in house counsel at Denley Investment Management Company, a large privately held company. Nate Bernstein created www.laquiettitleattorney.com, a leading educational resource on quiet title real estate litigation. Nate Bernstein is a local expert on real estate law and economic trends in the real estate and leasing market, business law, bankruptcy law. Nate has personally litigated more than 40 real estate trials, and has settled more than 200 complex real estate and business cases.